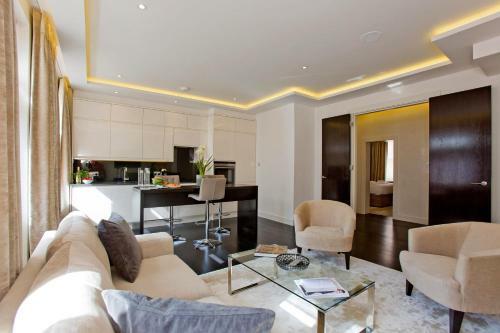 This luxurious property in upmarket Knightsbridge provides one, two, three and four bedroom serviced apartments. 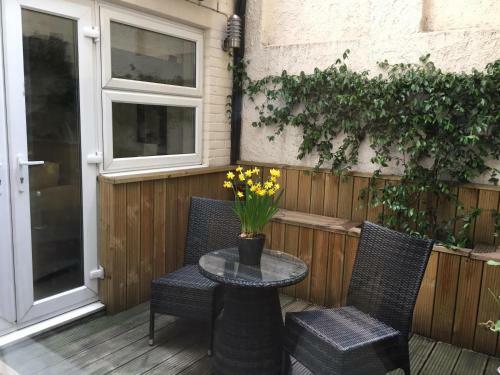 Located on a leafy street in this exlusive area, the period property offers five star serviced accommodation which is suitable for between 2 - 8 people. 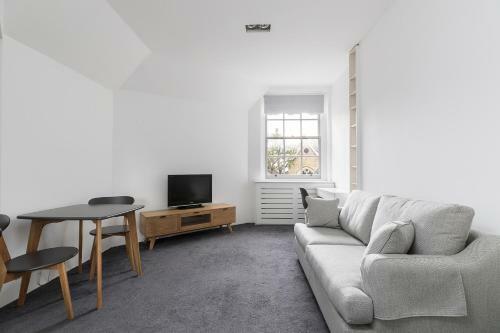 There are twenty one apartments in total - each one decorated to a high standard and fully equipped with everything you need for a comfortable stay including a washer/dryer. 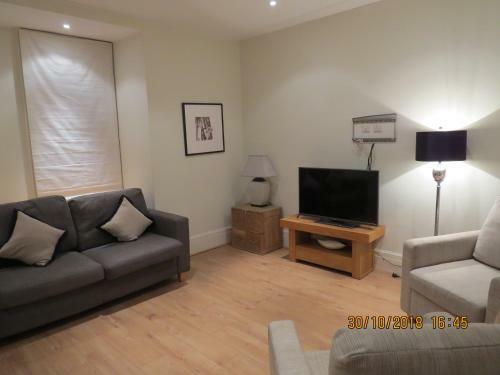 All of the bedrooms and living rooms have their own flat screen televisions. 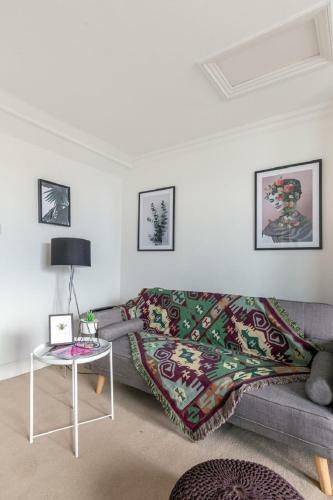 Studios, one, two and three bed properties are available here at the Basil Street apartments. Beautiful five star serviced apartmetns at Phoenix House from Cheval. 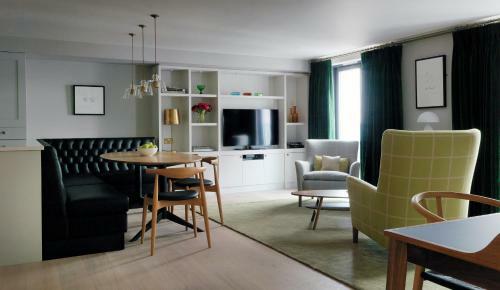 Beautiful, elegant five star serviced apartments at Claverley Court in Knightsbridge. 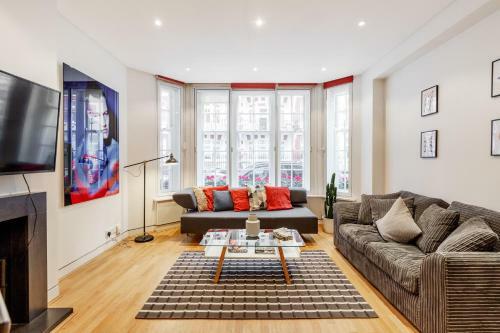 These stunning properties have stylish, contemporary interiors with many modern design features. 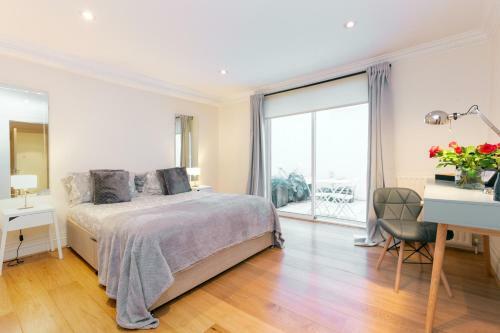 Five star luxurious serviced apartments from high rated operator Cheval just 5 minutes' walk from the Victoria & Albert museum and world famous Harrods. 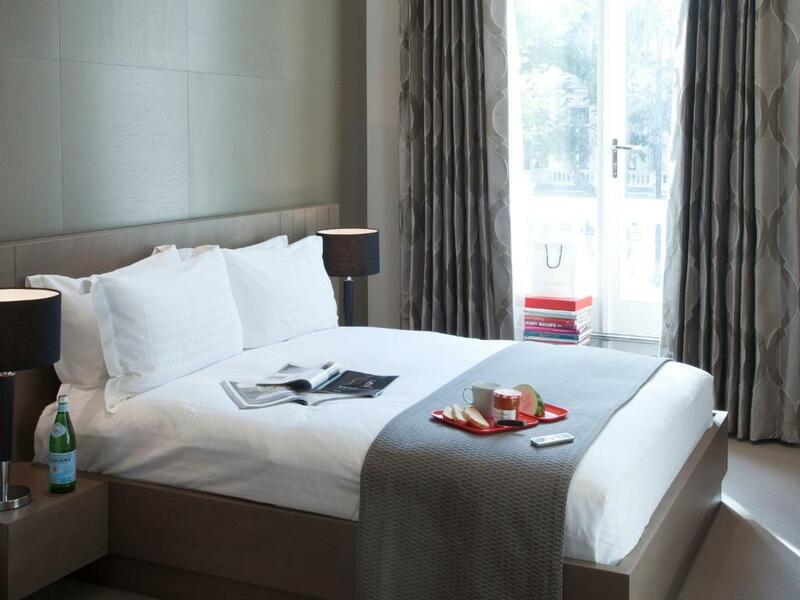 Make your stay in London a special one with a Knightsbridge serviced apartment. This ultra desirable part of the capital is home to the world famous department store Harrods and the Victoria and Albert Museum. Iconic and world-famous department store in Knightsbridge. Opened in 1834, Harrod's has 330 departments and is the biggest department store in Europe. 19th-century Roman Catholic church with regular masses, musical recitals and ornate decorations. Knightsbridge tube station is in Travelcard Zone 1 and is served by the Piccadilly Line.